Cats can fit through some pretty tight spaces, but one black and white kitty in London only made it about half way through the frame of a mountain bike. 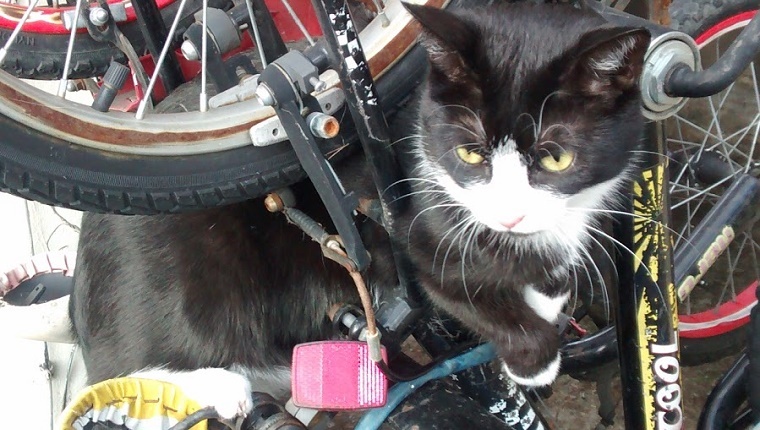 A passing delivery driver spotted the feline trapped in the bike and called police to help. The police sent the RSPCA to the scene to free the cat. 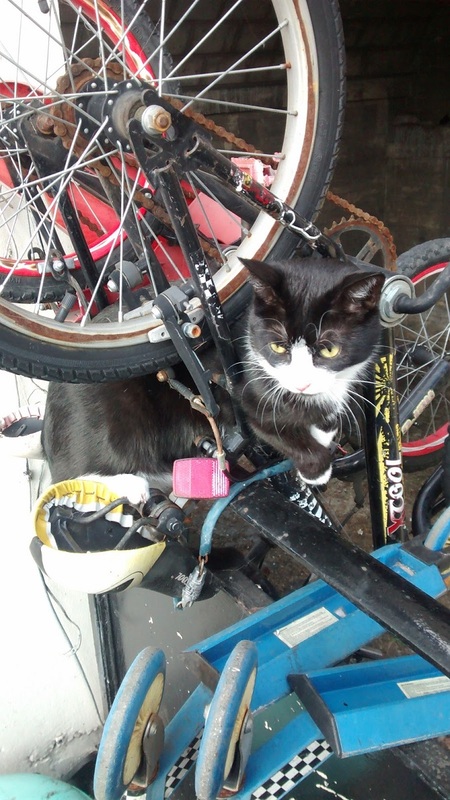 The bike was chained up hanging upside down over a balcony, and RSPCA worker Prisca Giddens was worried that the precarious position of the bike might make for a dangerous situation when rescuing the kitty. But luckily a passerby decided to stop and help. They supported the cat’s backside and managed to help him squeeze safely through the gap. The cat was scanned for a microchip, but the chip was foreign, so Giddens couldn’t retrieve the data for the cat. Seeing as the kitty wasn’t injured and probably wasn’t far from home, she figured he could find his own way back and released him. She gave him a paper collar with her information just in case the owner wanted to find out what their cat got up to on his adventures. While it is mandatory in the UK to have dogs microchipped with updated contact information, the RSPCA urges cat owners to do the same just in case something like this happens. What would you do if you came across a cat in this situation? Has your cat ever been caught in a tight spot? Let us know in the comments below!